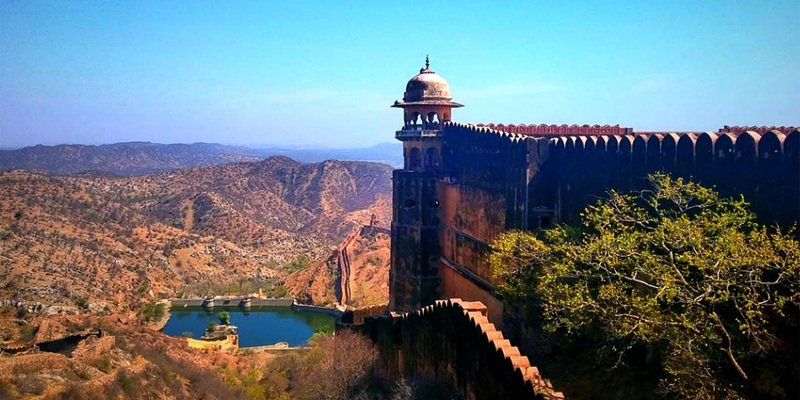 Located on a cape called “Cheel ka Teela” (Hill of Eagles) of the Aravali range of hills, the Jaigarh Fort was erected in 1726, to overlook and protect the Amber Fort of Jaipur. The canon “Jaivana” is one of the numerous attractions of the fort, manufactured in the fort premises; it is the largest canon on wheels of that time (1720). The fort is well covered with walls of red sandstone from all around. There is a separate section in the fort, devoted to displaying the armories of the fort; it features swords, shields, guns, muskets and also a 50 kilograms cannonball. The museum within the campus, displays photographs, stamps etc. from the ancient times. It is also believed that a huge treasury was discovered here and captured by the Government of Rajasthan when the renovation works were carried out at Jaigarh Fort in 1970. Jaigarh Fort is as old as Amer Fort and instead of the palace it was just a strong fortification which was built by meenas in Amer at that time. During the Mughal Period, Jaigarh Fort was seen as the important cannon foundries due to the presence of a large amount of iron ores nearby the fort. It was later when Mughal Emperor Muhammad Shah elected Jai Singh II as the official Mughal Qiladar of Jaigarh Fort. After that, he created the Jaivana Cannon which was one of the largest cannons at that time. 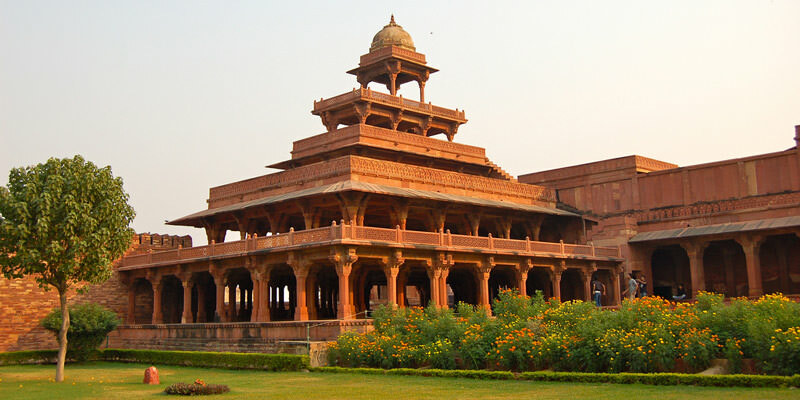 Due to the abundance of iron ore mines in the proximity of the fort, the Jaigarh Fort became one of the richest cannon foundries in the reign of Mughal Emperor Shah Jahan. The Former Emperors of the Fort namely, Sawai Bhawani Singh and Major General Man Singh II also served as the top Officials in the Indian Army, after the country became Republic. Jaivana Cannon in Jaigarh Fort : Though Jaivana was the largest cannon of its time, but it was never used. Courtesy, Friendly relationships between Rajput Rulers of Amber and Mughals. Jaigarh Fort was not the residential fort of Kings of Jaipur but was an artillery production unit of Rajputs. The cannon was fired only once with a charge of 100 kilograms (220 lb) of gunpowder and when fired covered a distance of about 35 kilometres. Jaigarh Fort is a highly fortified fort which has huge thick walls made up of red sandstones. The fort has different palaces, courtrooms. The fort has a watchtower from where you can enjoy an amazing view of the surrounding area. Dungar Darwaza is the main entrance of the fort. There are two temples within the fort precincts, one is the Ram Harihar temple of the 10th century and the other one is the Kal Bhairav temple of 12th-century vintage. Numerous Private and Government buses are available to Jaigarh Fort from the Jaipur city. Also you can easily find private cabs and taxis from Jaipur city to the fort, Which will charge less than Rs. 500/-. The Fort is open every day for the general public.